Summer time is a very difficult time to blog for the MacPowerPC team because of our day jobs. It’s our busiest time of year and admittedly it’s difficult to find the time to release quality posts. I wanted to let everyone know that even during our hiatus, we have still been searching and saving material for later updates, on a regular basis. Now that fall is settling in, we have time to get back on track for our weekly updates…and have we got a LOT to catch up on! * Tooble 2.8 – (Free) – PowerPC Tiger/Leopard. It’s an easy way to quickly download videos from YouTube, convert them and import to iTunes to watch on your iPod or AppleTV. It’s always important to have access to a good application that easily converts your video and audio. iConvertX not only completes the conversion quickly, but anyone can figure how how to work it. It’s as easy as drag and drop…so even your grandmother could figure out how to work it! iConvertX 4.0.1 (Shareware $3.75) (First 5 times are free to try) http://joris-vervuurt.com/page4/page4.php – PowerPC friendly, runs on 10.5 / 10.4 / 10.3 – Leopard / Tiger / Panther. P.S. : It seems Joris Vervuurt also developed iTubex, an application that allows you to download videos from Youtube. As far as I can see, version 8.0 will work on PowerPC running 10.5, but unfortunately I didn’t find a safe source to download the application, to do my tests. If you guys would like to share the results or links, please feel free to drop us a line to let us know how it worked for you! This post is supposed to be just about AppDelete, but when browsing the web, I noted that the developer also has another conversion app that works on the PowerPC so this became a double post! VidConvert also follows the same layout, it’s very easy to use and the best feature is the “drag and drop”. It will convert any type of video into one of the many popular formats of today. (Supported output – iPhone, iPad, iPod, Retina, Apple TV, QuickTime, .mp4, .avi, DivX, Xvid, MPEG-1, MPEG-2, DVD (.vob), Windows Media, Flash, Matroska (.mkv), Theora (.ogg), .m4a, .mp3, .aiff, .wav, .wma, .ac3) (Trial version will convert only 3 minutes sample videos. If your looking for good convert/encode software I would say to check out iFFmpeg, it’s simple to use like most of Apple applications: drag and drop! gosh I so love this system of drag and drop. I have to confess that I was windows user a looooooooong time ago, but back to what really matters here!! 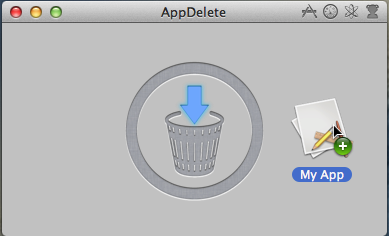 There are so many formats that this app supports, that having this app saved in your application folder would be a safe thing to do. Just to mention a few formats you can convert/encode: Apple TV, iPhone, iPod, iPad, mp4, wii, avi, PS3, PSP, X360, MPEG1, MPEG2, MPEG4, mov, mpg, AAC, WAV, OGG, FLAC, M4A, WMA, REALMEDIA, RM, MKV, FLV, VOB, DV NTSC, etc. Check the picture bellow for full list. After we talked about players for mac powerpc users, I thought it should be interesting to add one more post to show you a few softwares that will help you in case you want to encode/convert music to any other format. So I started looking and I found great options for our PowerPC machines running 10.4 or later. Also I included in this post, a great and very useful plugin to QuickTime. With this plugin you are able to play almost all movie formats. Thank you André for sharing this app with us. *Xact – I took a look online and it seems this app Xact 2.14 is Intel only, but an old version like 2.13 or older 1.63 works in a PowerPC. At this moment I can not test, but if you can please feel free to share with us the results.